There are three main meditation-related areas in the brain, according to a new meta-analysis study: Insula, the prefrontal cortex, and the anterior cingulate cortex. All of these are located in the front half of the brain, and they seem to be involved irrespective of the type of meditation used. What do they do? Insula is the part of the brain we use for awareness of our own body, and for linking bodily sensations to emotions. We use the prefrontal cortex, among other things, for directing attention to the immediate task at hand, here and now. The anterior cingulate cortex combines some of the functions of the other two: attention, and regulation of emotion. These three areas have also been shown to be activated during Acem Meditation. The authors grouped the different meditation styles into four main classes: focused attention (e.g., focusing your attention on your breath), mantra recitation (focusing your attention on the silent repetition of a sound, word or mantra), open monitoring (monitoring whatever spontaneously comes into your mind), and loving-kindness meditation (generating feelings of kindness, love, and joy towards self and others). Though some brain activation patterns are universal, irrespective of the type of meditation you practice, other patterns seem to be specific to the particular type of meditation. For instance, parts of the default mode network, which is known to facilitate mind-wandering, were activated during mantra meditation, but not during the other types. Somewhat to their surprise, they found that, broadly speaking, the observed patterns are not dependent on the length of experience of the practitioners, in other words, beginners seem to use their brain in the same manner as more experienced meditators, within the same technique. The article is somewhat of a milestone in meditation research. Since the first one appeared in 1999, about one hundred scientific articles on imaging brain function during meditation have been published. Accordingly, a sufficient mass of research has been accumulated in order to start summarizing the overall conclusions that can be made. The brain on meditation has become a field of science in its own right. In this review paper, 78 articles were investigated more closely, and 25 of these were included in the final meta-analysis, based upon strict inclusion requirements. Of these 25, three articles focused on Acem Meditation, five on mindfulness-based stress reduction. The other meditation types represented included, inter alia, kundalini, vipassana, zen meditation, and Tibetan Buddhist meditation. Most of the nine authors were from the University of British Columbia in Canada. The two first authors, Kieran Fox and Matthew Dixon, have both been practicing meditation for many years. The last, and senior, author is Kalina Christoff, who took her PhD at Stanford University and went to Cambridge University for her postdoctoral training. She is a well-known scientist in the field of introspection and spontaneous thoughts. Fox et al. : Functional neuroanatomy of meditation: A review and meta-analysis of 78 functional neuroimaging investigations. Neuroscience and Biobehavioral Reviews 2016. 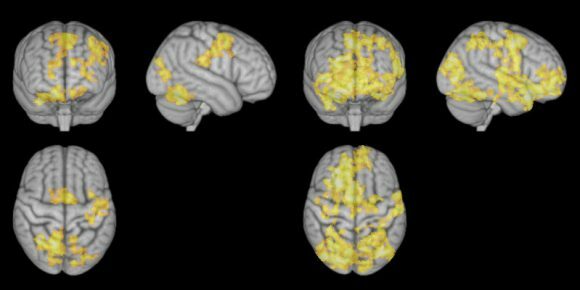 Davanger S, Holen A, Ellingsen Ø, Hugdahl K (2010) Meditation-specific prefrontal cortical activation during Acem meditation: An fMRI study. Perceptual and motor skills. 111:291_306. Engström M, Pihlsgård J, Lundberg P, Söderfeldt B (2010) Functional Magnetic Resonance Imaging of Hippocampal Activation During Silent Mantra Meditation. The Journal of Alternative and Complementary Medicine 16(12): 1253-1258. Xu J, Vik A, Groote IR, Lagopoulos J, Holen A, Ellingsen Ø, Håberg AK, Davanger S (2014) Nondirective meditation activates default mode network and areas associated with memory retrieval and emotional processing. Frontiers in Human Neuroscience 8:86. I have practiced TM for many years. I went to a Vapassana 10 day retreat. I noticed that I became cooler during these meditations, but when practicing TM I always become very warm. TM of course is a mantra meditation and Vapassana is more of a mindfulness meditation. The difference in my body temperatures I attributed to different areas of the brain being acttivated by the meditation. After reading this article, I’m not so sure.